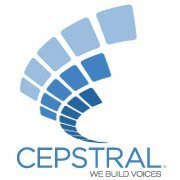 Cepstral Community • View topic - [Official] Cepstral Telephony 6.0 - Beta Testers Wanted! [Official] Cepstral Telephony 6.0 - Beta Testers Wanted! Cepstral is pleased to announce that version 6.0 of our TTS Telephony Server has reached the beta phase. We are looking for beta testers! Read on to learn what is new in 6.0 and how to apply to be a beta tester. -- The audio in Cepstral 6.0 has been tuned for crystal clarity over a phone. -- 6.0 represents a breakthrough in predicting and protecting speech context. -- This results in more natural sounding speech with far fewer errors. -- 6.0 introduces a new algorithm for joining units that provides smooth and natural prosody. -- For the first time, we have enabled explicit integration with Asterisk. -- Audio has been level matched to Asterisk Prerecorded prompts, for seamless integration into an Asterisk IVR. -- The licensing system for concurrent synthesis has been completely revamped. It is more reliable and stable. Cepstral is turning to our community to finalize our testing. We value your input and feedback. This is your chance to provide the input that will help make our product better. Those interested in being beta testers should email responses to the following questions to beta@cepstral.com with "Beta 6.0" in the subject line. 1. What is your name and email address? 2. Do you have a test and/or development environment running Asterisk? 3. Can you simulate a high call volume? (100+) If not, how many can you run? a. What is the type and version of your linux distribution (CentOS 6, Ubuntu 11, etc.)? d. What version of Asterisk are you running? e. Do you use app_swift or res_cepstral? 5. Are you able to begin testing immediately? If you are selected, we will let you know by email.